The Virtual gifts add-on lets site members exchange virtual gifts and view the gifts sent by other members. Every gift must be accepted by the recipient in order to appear on his/her profile page. To manage Virtual gifts, go to administration panel > Modules > Virtual gifts (/admin/virtual_gifts/index/). 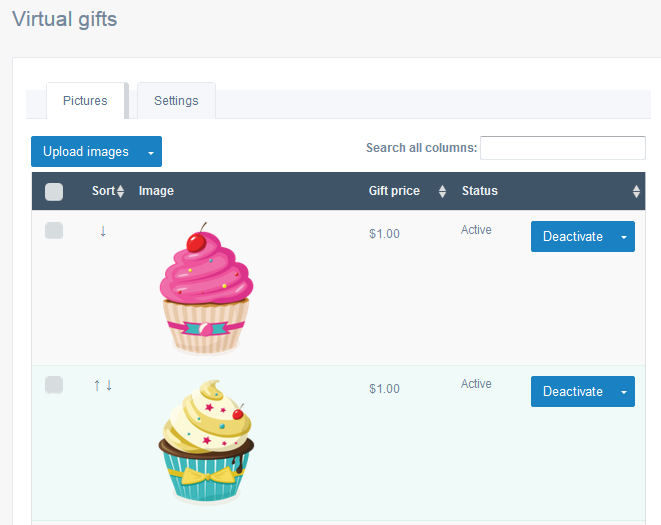 Here you can upload the gifts images and edit the prices. Click Deactivate to temporarily switch off the gift. Click Upload images to add new gifts. 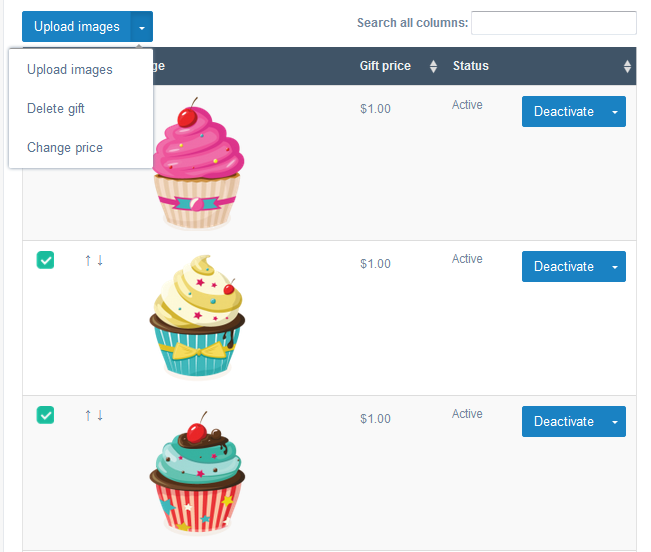 You can upload multiple images and assign the prices to all of them at once. 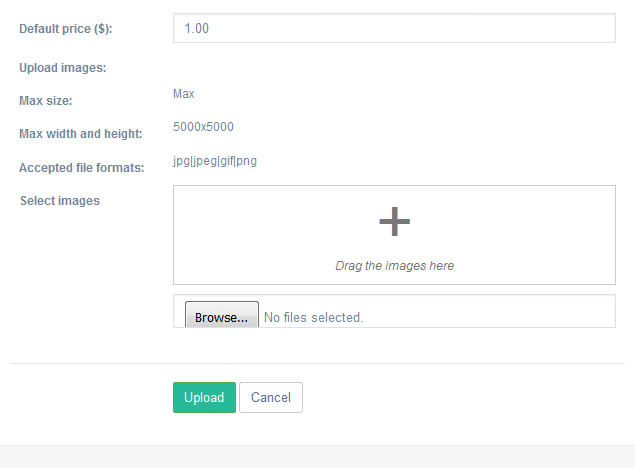 The max size and max width/height settings for the images are taken from the System > Uploads options in the admin panel. 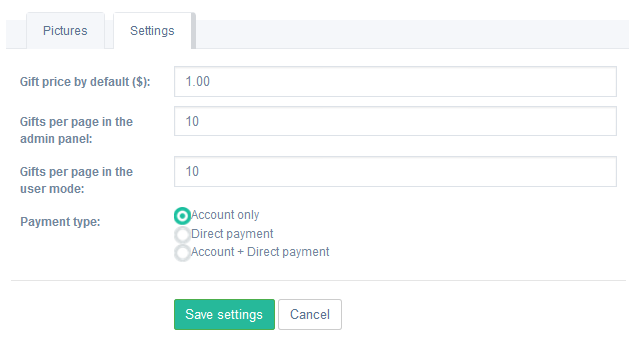 This tab contains the default price for the newly created gifts, pagination options for both admin and user mode, payment type for the gift sending.